Our team will do it ! 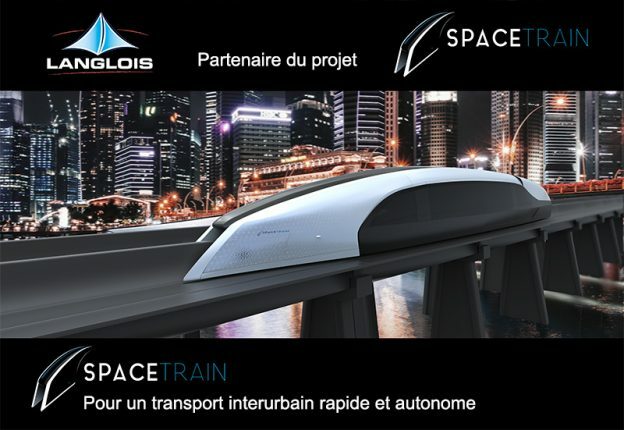 Langlois, new partner and supplier of Spacetrain, designer of an autonomous shuttle! Concerned about the mobility issues in our society, Emeuric Gleizes launches the “Spacetrain” project in 2017. This freestanding shuttle powered by air cushions on an inverted “T” monorail, is capable of carrying up to 250 passengers. This new means of transportation is able to significantly reduce the time and cost of travel between two territories. The goal is to launch a first test shuttle by the end of 2020. The project is currently in phase 2 which involves the construction of models for study prior to the construction of the first prototype shuttle. Langlois is happy and proud to have signed a partnership with Spacetrain. We will provide the technical furniture and various electrotechnical equipment necessary for the development of the Spacetrain laboratory where the models will be made.